What can I say... I don’t really give reviews but I feel like sharing my experience, Incase anyone is on the fence about this dealership. I’m the type of person that absolutely HATES buying a car. I get angry at the haggling, many conversations had by the sales team and managers , rudeness of finance specialist.This is definitely not tru at Holman INFINITI!!! !I pretty much dealt with a team head by Jim ( the general manager) he was extremely helpful and honest. He set me up with Blain and Gavin. They were extremely curious ,professional , & knowledge. Above all they were not pushy or obnoxious by any means. Then came everyone’s dreaded, financing ... J.B. the finance expert was extremely nice, polite & explained everything clearly . He took his time and pointed out our opinions as far as add-ons etc. he made this part pleasurable .I personally would like to thank the team at Holman INFINITI . I definitely will be returning for my next vehicle and I can and will proudly endorse them!!! This is an establishment, that is totally professional and make you feel king.Very well experienced and everyone wears a smile and happy face. I had the best experience at this dealership. Ian Gordon made the purchase of my vehicle so unbelievable easy, it seemed too calm. Ian is a friendly, zero pressure salesman and just awesome to deal with as was the rest of his team. My prior car shopping experiences (right before Holman) were disastrous (pushy and scary, not giving me time to think the purchase through) which thankfully I walked away from. Happy to find Holman, I absolutely love my new purchase. Holman Infinity is an amazing establishment that makes customers feel welcome from the start. We was guided to a table for a short wait and offered complimentary refreshments right away. Gavin Alston came shortly after and sat us down to get a feel for what we were looking for. We had a few used options in mind and he was up front about each of the vehicles we brought up and we narrowed our search down quickly. Gavin was personable, and kept the entire situation light and simple. I would recommend Holman, and Gavin specifically to anyone looking for a seamless car buying experience, coupled with a few laughs. 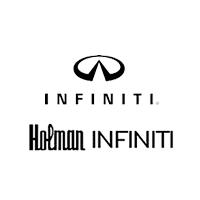 Welcome to the official homepage of your friendly INFINITI dealership, Holman INFINITI. When people shop for INFINITI models, they are looking to separate themselves from the usual. The unique sleek styling and luxurious interiors keep drivers coming back for more of the virtues that they find most desirable in an auto. INFINITI is the luxury brand of Nissan. These classy autos draw the attention of passers-by and are fun to drive because they capture a vibe like no other brand out there. When you lease an INFINITI dream car, you really have no worries in the world. Everything is covered under the factory warranty if the vehicle breaks down from ordinary usage. The growing complexity of automotive repair makes this concept of leasing so valuable. Although it may have been easier in the past to continue repairs and maintenance on a vehicle yourself after the financing payments are finished, this is becoming harder and harder to attain. Although our service department is skilled at keeping all INFINITI models rolling like-new for decades, not every driver considers the long-term overhaul and retention costs of ownership. Financing a vehicle should be reserved for instances when you simply need to customize it a particular way or can’t comply with other terms of a lease contract such as wear and mileage. We have a variety of used vehicles for sale because we buy them from our customers or let them trade in their prior autos when they upgrade to the latest model. We also offer a steady stream of pre-owned vehicles that are inspected, reconditioned, and certified with additional warranty protections. Only a marginal number of vehicles meet the criteria for pre-owned status. These vehicles are often in like-new condition but discounted dramatically from the sticker prices of brand-new models on the lots. Our expert automotive technicians have the expert eye to figure out what weak spots on the vehicle can be repaired before a sale to strengthen the overall value of the ride. You should never trust online dealerships or private sellers for a used vehicle because they simply don’t have the resources to firm up the weaknesses that incur with age. Our official INFINITI Service Center is endowed with the sophisticated diagnostic computers and other computer resources that provide our technicians with an exclusive edge. Our technicians are able to make short work of laborious tasks because they have so much experience and intelligence in the facets of work they specialize in. In fact, we send them for ongoing factory training to ensure that they are always kept abreast of the latest trends and unveiled engineering features of INFINITI models. If you feel that you are the type of person who wants a fun and fast car, it is time to consider the elegance and sportiness of INFINITI. These vehicles are highly collectible and will look good in the driveway of a small family home or a mansion. Please feel free to call us or simply stop by for a test-drive. For your convenience, you may also contact us by filling out the contact form below.